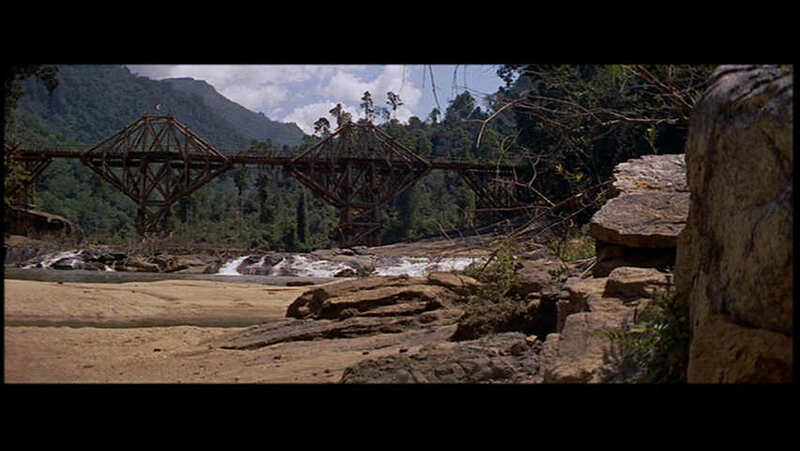 It's been a week and a half since I watched The Bridge on the River Kwai (1957). This is a superb film, full of complex characters behaving in expected ways. That may seem an odd compliment, but something I don't like in movies--old or new--is when a character's behaviors alter for no good reason. In other words, when the film becomes plot driven. Thankfully, this movie doesn't suffer from that at all. The characters' motivations and actions are consistent and clear. 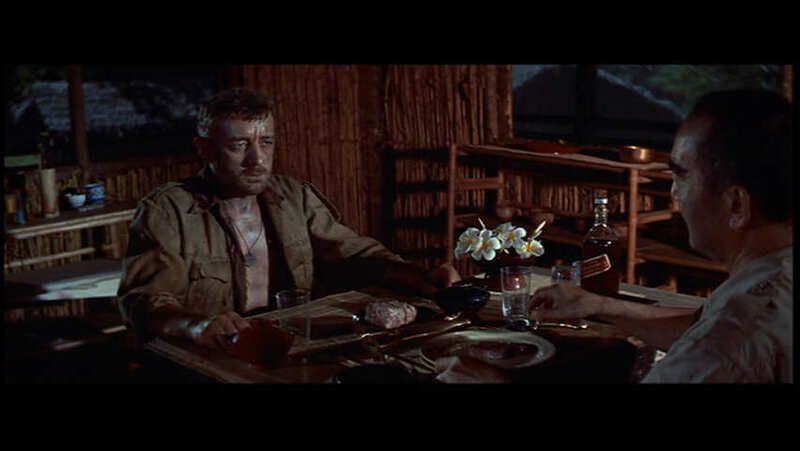 Jack Hawkins, William Holden and another fine actor who's character name I forgot and couldn't find in any review. Beautiful women in the film. 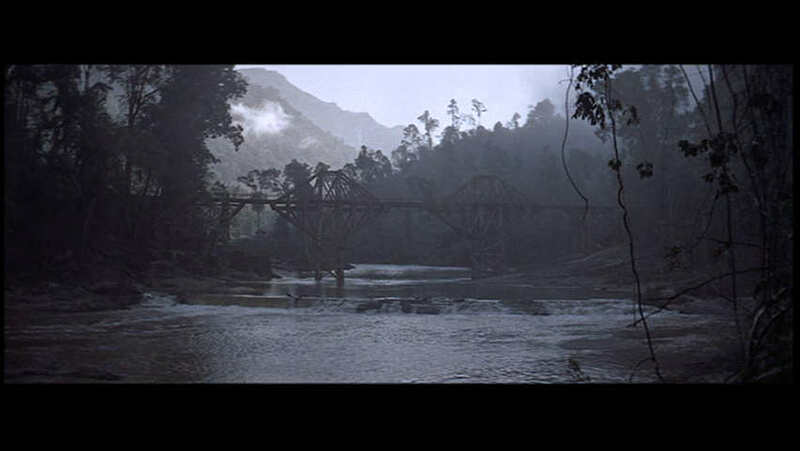 Two images of the bridge.